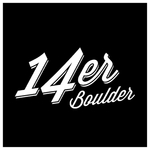 We are a local grower owned and operated Cannabis Center in the heart of Downtown Denver, Colorado on the 16th Street Mall. We offer premium grade cannabis that is grown exclusively for our customers using all natural and organic nutrients in a highly controlled environment. This is to ensure that our customers can depend on high quality each and every time. Not only do we offer a variety of strains to meet an array of needs and tastes, we proudly provide a wonderful line of concentrates and edibles.